Nothing makes me feel less confident than when one of my children acts out in a publicly humiliating way. We’ve all been there, right? In the middle of the grocery store, as we’re leaving the library, when we drop them off for school, or (the worst) at a family gathering. How do such little people hold so much power over us? Unfortunately, any parenting advice I have to give is subject to change because the older I get, the more I realize that I don’t have it all figured out. We don’t have to have it all figured out, friend, because even if we try our very best and do everything “right,” we still can’t be perfect parents, not on this side of Heaven. The Good News is that we know the One who is perfect, and He has all of the advice we could ever need right in His Word. For those of us who are Christ-followers, we also have the Holy Spirit to guide and direct us as we do our best to parent purposefully. I want to raise godly kids who will follow hard after Jesus, and I’m sure you do, too. The only way to do that is God’s way. We can’t expect ourselves to be perfect parents, neither can we expect our children to be perfect kids. We’re bound to mess up, and so are they. But we can have confidence in the promise of Phil. 1:6, my life verse – that the God who began a good work in us will keep working until we are complete, whole, perfect. If our children know Christ, then that verse applies to them, too. Let’s loosen our grip on impossible standards of perfection and mom guilt so that we can embrace grace in our parenting journeys. Let’s be work-in-progress mamas who constantly seek the Lord’s direction, who confess our own short-comings, who model grace to the ones we influence the most. Let’s learn to see our children as works-in-progress, too. When we look for progress rather than perfection, we move toward grace and away from the trappings of legalism. Confident parenting comes not from knowing it all or trusting in our own abilibities. 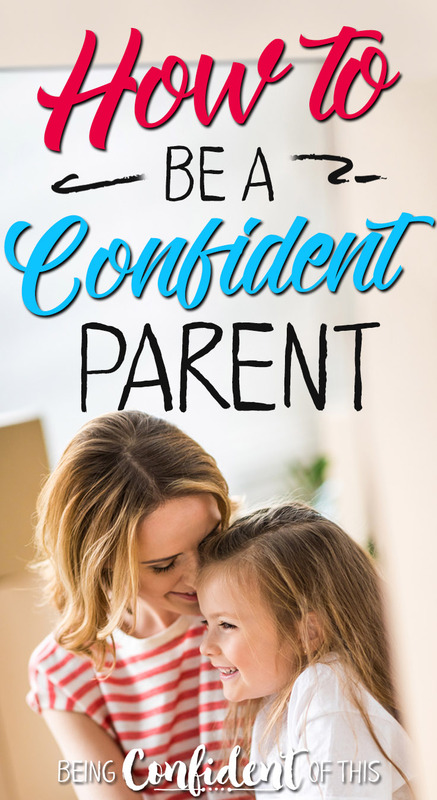 No, confident parenting only comes from entrusting our children to our loving and sovereign God. ~for more helpful parenting resources, please click on Parenting in the drop-down menu under Confident Parent.